Microsoft’s upcoming disc-free Xbox One S, codenamed Maverick, is tentatively scheduled to be announced next month. 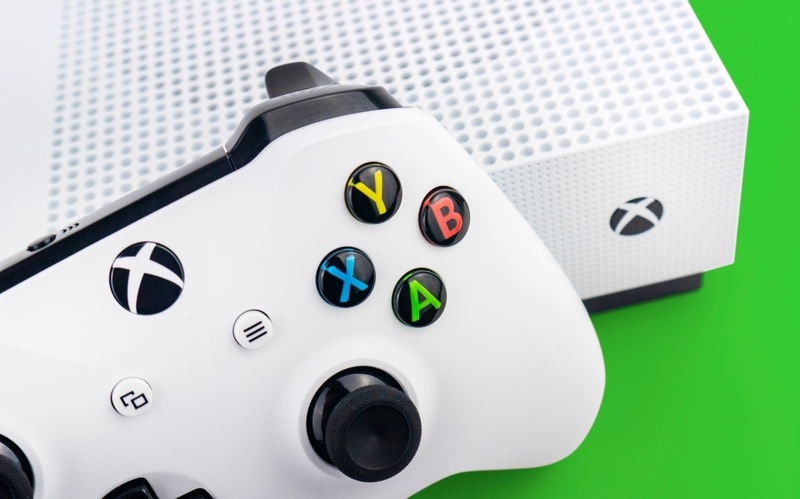 According to new documentation received by Windows Central, the console could launch simultaneously across all existing Xbox markets a few weeks later on May 7, 2019. 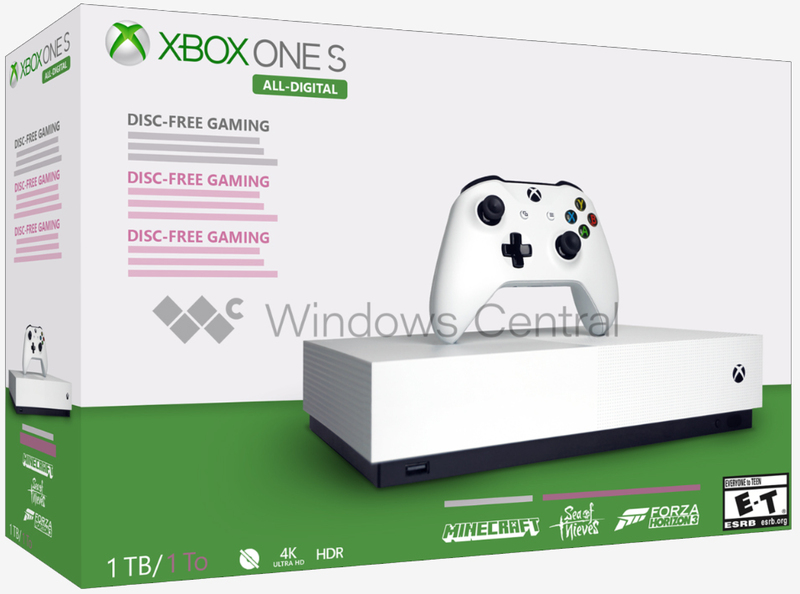 Product photos received by the publication indicate the All-Digital system will be virtually identical to the existing Xbox One S, except without a disc drive and an eject button. Images also suggest the system will ship with a 1TB hard drive and digital download codes for three games: Minecraft, Forza Horizon 3 and Sea of Thieves. There’s no indication that the system will ship with a complementary Xbox Game Pass subscription. As has previously been reported, the All-Digital Xbox One S will have the lowest MSRP of any current Xbox console. Exact pricing, however, still isn’t known. Windows Central also published the box art shown above although in order to protect its source, what you’re looking at is a recreation of the box art in Photoshop rather than what they were actually provided with. All signs suggest that we will be hearing more about this console in the coming weeks. As such, if you’re contemplating buying an Xbox, it’d probably be best to wait it out and see what Microsoft has to announce. Even if you aren’t interested in a disc-less console, it’s possible that other members of the family could see a price cut to celebrate the newcomer’s arrival. Not sure if it is a possibility because there is no disc drive in the machine, and as far as I know, there is no code in the box for these games. On the other hand: this thing is a real beauty. Wow, just wow. Remembering how ugly was the first Xbox One, this is just pure sexyness, for me at least.